Cygnet Hospital Ealing provides a welcoming, non-institutional environment, offering personalised treatment for service users with an eating disorder or personality disorder over two separate wards. Our team works hard to create a cheerful, non-institutional environment, and to support individuals in their recovery and personal transformation. We make use of a range of therapies including psychodynamic, family, occupational, art, drama and complementary therapies. We also believe very strongly in patient-centred care, and involve our service users in shaping their own treatment, and in all aspects of hospital life. Facilities include two lounges for each service, en-suite rooms, a Care Programme Approach suite, a large community room and a fully equipped relaxation sensory suite. Outside, we have a pleasant sun terrace and a garden area. Cygnet Hospital Ealing is in a leafy, residential area, with excellent links to the M25 and central London. The hospital building was once a house and has retained its homely feel, thanks to our welcoming, friendly staff and pleasant surroundings. We are delighted to announce that following a successful pilot scheme of the phase one and phase two wards no fewer than fourteen wards across Cygnet have achieved Safewards status. 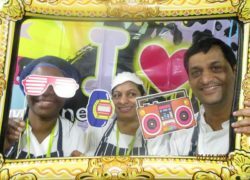 On Thursday 1st November 2018 Cygnet Ealing celebrated Cygnet’s 30th Anniversary with an all-day party for service users and staff. 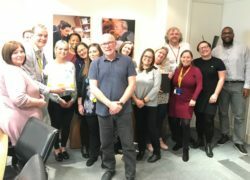 A wide range of activities included an art exhibition, musical workshop, photo booth, face painting, pet therapy and a performance on his fiddle by the hospital's Medical Director. 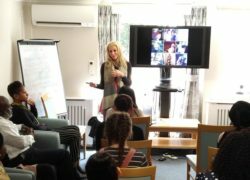 Hope Virgo, Expert by Experience and author of 'Stand Tall, Little Girl', recently visited Cygnet Hospital Ealing to speak to service users and staff about her experiences of having an eating disorder and her subsequent recovery journey.